Well my lovely readers, I've gone an got my hair chopped and it's the shortest it's been in seven years. 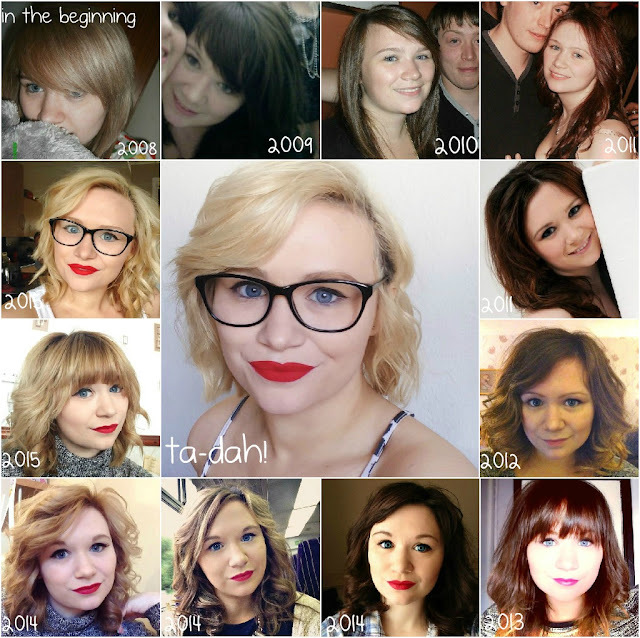 Though it's not dramatic, due to the fact I didn't exactly have mermaid hair, it's still pretty different and it had me thinking at what kinds of transformations my hair has gone through in seven years! It seems my hair has gone through quite a bit, but with the way it is currently, I can't help but think what they say - well two things really, 1. We often go back to the beginning with our style and have it set from a young age and 2. Perhaps blondes do have more fun? Well, maybe, but I'm certainly enjoying and having fun with my hair at the moment..
Also, looking back and can't help but be glad I discovered, primer, lip liner and many other products I clearly didn't have back in the day. So this is my seven year hair transformation... you all must tell me your thoughts!